IT could be 13th time lucky for Tory candidate Iain McGill in the unexpected battle of next month’s European elections. 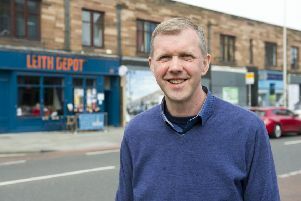 The Leith businessman has been a candidate 12 times - for the city council, Holyrood, Westminster and the European Parliament - over the last 16 years but without success. Now he is number two on the Tories’ Scottish list - behind sitting MEP Dame Nosheena Mobarik - for the May 23 Euro poll where the party is tipped to win an extra seat. But despite his best chance yet of winning elected office at last, Mr McGill - a devoted Brexiteer - would prefer the election did not take place at all. “I’m hoping an agreement can be reached on us leaving the European Union and this election will just be an academic exercise,” he said. If the election does go ahead Mr McGill hopes he will be elected - but he wants to be an MEP for the shortest time possible. “I hope to do myself out of a job very, very quickly,” he said. Scotland has six MEPs. At the last European elections in 2014 the SNP and Labour each won two seats, the Conservatives one and Ukip one. With such a short time before the elections, the Tories decided, rather than launch a fresh selection process, to field all those 2014 candidates who still wanted to stand and invite applications for the other slots from people on the party’s approved candidate list. Mr McGill first stood for election in the 2003 council elections for the old Broughton ward. Altogether he has stood four times for the council, four times for Westminster, three times for Holyrood and once for the European Parliament. 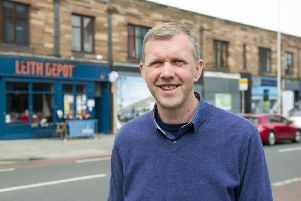 He missed out on a Holyrood seat in 2016 thanks to a cut of the cards after he and fellow Tory Jeremy Balfour tied for fourth place in the party’s internal selection contest. No-one expected the Conservatives to win four seats in Lothian, so it seemed of little significance when Mr Balfour came out ahead by drawing a king from a pack of cards in a Livingston car park one Saturday morning before a day’s campaigning. However, as well as Ruth Davidson’s success in winning Edinburgh Central, the Tories got enough votes to qualify for three seats from the top-up list - and since Ms Davidson had won her constituency, fourth slot was enough for Mr Balfour to become an MSP. Mr McGill was tipped to become an MEP in 2017 when the Tories’ 2014 victor Ian Duncan had to quit the European Parliament after he was appointed a minister in the Scotland Office. Mr McGill had been number five on the list but the candidates in second and fourth slots were no longer approved candidates and it was initially thought number three Dame Nosheena, who had recently been appointed to the House of Lords, would not take the seat. Mr McGill is making no forecast for May 23. “Anyone making any predictions about what might happen with the Brexit process in the next six weeks is bolder than me.